NetSpend has entered into a deal with popular media company BET. The goal is to target African Americans who may not have bank accounts. A recent study by Federal Deposit Insurance Corp. reveals nearly a quarter of black households do not have traditional bank products such as checking and savings accounts. Often, those who do have access to banks are sometimes “underbanked”. When mirrored against the 3 percent of whites, there’s no doubt there’s a market for this prepaid card. payday loans. Unlike secured credit cards, prepaid debit aren’t attached to a checking account, and unfortunately, the warranties and other consumer protection features found on classic credit cards are often non existent in these offers. The fact that it’s a prepaid products means it won’t play any role in one’s credit history, thereby serving no purpose for those whose first consideration is a product that will report to the credit bureaus. NetSpend and BET opted to call this product the Control PrePaid Master Card. The Austin, Texas company said it’s still working out the details with BET, but it’s already released the fee structure. There’s a $7.95 monthly fee and ATM withdrawals will cost card holders $2.50 per transaction. Other fees include a fifty cents anytime a card holder checks his balance via ATMs or phone transactions and there’s also a $1 fee anytime the card goes over its limit. For those who deposit $500 will then qualify for what’s being called a high yield checking account along with a “purchase cushion” (also known as overdraft protection) of $10. If card holders do go into their purchase cushion, there won’t be any fees attached. The $7.95 monthly fee is also reduced to $5 each month. Citing the high percentage of black households that don’t have access to traditional banks account, CEO Dan Henry says BET will be the best place to market the prepaid card. It will eliminate the need to buy money orders or use fee-heavy check cashing businesses. He said it would “build tremendous awareness” and said his network is already reaching 90 million Americans. These are the households have come to rely on the network for credibility as well as the ideal marketing pool to promote the product. 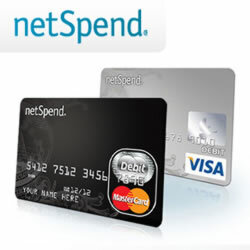 NetSpend is one of the largest prepaid product companies in the nation. It was founded in 1999 with a mission to provide the types of financial products that people with less than stellar credit never before had access to. This announcement is just one more of substantial deals the company has secured this year. NetSpend and PayPal signed a five year deal that will allow NetSpend to provide processing services for PayPal’s prepaid Visa cards. NetSpend also partnered with 7-Eleven convenience stores to offer its prepaid products while also partnering with Blackhawk Network. 7-Eleven has 5,000 stores around the nation and Blackhawk Network has more than 3,000 convenience stores, retailers and grocery stores such as Kroger and Albertsons. NetSpend, raised an impressive $200 million in an initial public offering in late 2010 and is now growing as it expects to bring on another forty people before the year is. Its 500 employees mostly live in or around the Austin, TX area. The new employees will be hired in its customer support and account management departments as the expansion efforts continue. In 2011 4th quarter earnings, NetSpend saw an 81% increase from the previous year. Its revenue now totals close to $77 million after a 9 percent growth. The company is looking at around $350 million in 2012, partly due to its new partnerships. There are other debit cards, such as UniRush’s RushCard and PreCash Reach Visa, that are marketed to black consumers. Before any consumer signs up for prepaid products, it’s important to closely review the terms and conditions since the fee structures often have significant differences from one product to another. The majority of prepaid credit cards do not charge for transaction inquires, as the NetSpend/BET prepaid card will, and many have already voiced concerns over the $7.95 monthly fee. Those critics say the higher fee does not bode well for a product designed to eliminate the costs of not having a bank account.